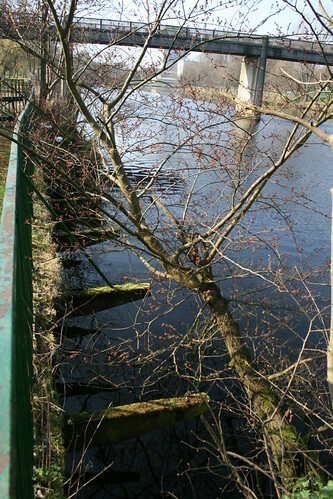 The Hidden Glasgow Forums • View topic - Mallsmire Burn - Curtis Avenue tributary? I've been investigating a problem (work-related) in the vicinity of the Curtis Avenue / Fintry Drive junction (Kings Park area). Having perused some old maps, I think there possibly is/was a burn flowing along the rough line of Curtis Avenue in a generally north-west/west direction where it would merge with the Mallsmire Burn (culverted) roughly at the south-western corner of the Toryglen playing fields. Does anyone have any info/thoughts on this? Re: Mallsmire Burn - Curtis Avenue tributary? I'm also aware of such a burn in that area. I was under the impression it flows under Hampden park towards the general direction of Aikenhead Road police station, from Mount Florida School, at the junction of Carmunnock/Cathcart Roads. I remember looking at it on a police mapping system a few years ago. I don't recall if it went near to Curtis avenue at all. The details I can remember were vague mind you. I initially thought it was one similar to the burns flowing through Castlemilk which made it's way underground towards the area which you were talking about, so it would possibly fit with the direction any stream would take. I know the burn you are referring to. Most old maps I've seen do show it starting in the vicinity of the school but I'm sure I remember seeing another map that seemed to show that it started slightly further south, almost immediately outside where the bowling club on Carmunnock Road is. It does flow under Hampden in a sense - the only difference being is that is now a sewer rather than a culverted burn (I'll upload a plan tomorrow showing the sewers around the stadium to illustrate this). It joined the Mallsmire almost exactly at the Aikenhead Road/Curtis Avenue junction when it was a burn but it now connects to the sewer that runs north directly up Aikenhead Road, through the Prospecthill Road junction, past the police station and beyond. Who would ever have believed that a sewer runs right under the stadium and pitch at Hampden? I remember being astounded when I first became aware of it at work many years ago - unfortunately, I've never had any cause to investigate it for work purposes as I'm sure it would be fascinating. Maybe I could sneak into the next Old Firm cup final for free by popping out of the manhole that is shown to be at the pitchside! Back on the subject of the (possible) burn I'm interested in though..... it would have been located on the east side of the Mallsmire Burn. I think it may have joined the Mallsmire immediately to the rear of where the petrol station on Aikenhead Road is, which would have been around 100-150m downstream of the confluence of the Mallsmire/"Hampden" burns (it doesn't seem to have a name so I may as well be the one to name it). Old maps show some sort of old parish/county/burgh/etc boundary line that seems to be generally consistent with what is now the rear curtilage line of the properties on the north side of Curtis Avenue - my theory is that this boundary line may have followed the line of an old burn, which may still exist in culvert/cundy form. Spent quite a while yesterday browsing several old maps for an indication of the Hundred Acre Hill which is in the vicinity of the tributary in question but could find no clear reference to a burn along the general area of Curtis Avenue. Plan of the sewers around Hampden - including the sewer (was once a burn) that runs right under the stadium and pitch. There is a burn that runs through Toryglen then Oatlands surfaces at Richmond Park and into the river clyde is it the same one ? 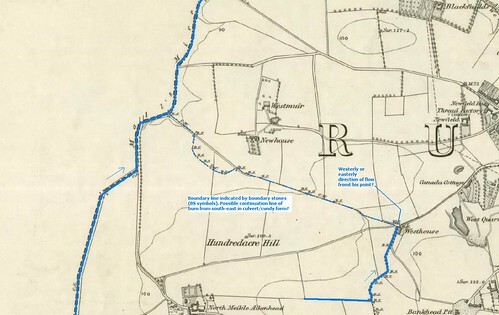 The burn that runs through Richmond Park is the Polmadie Burn. 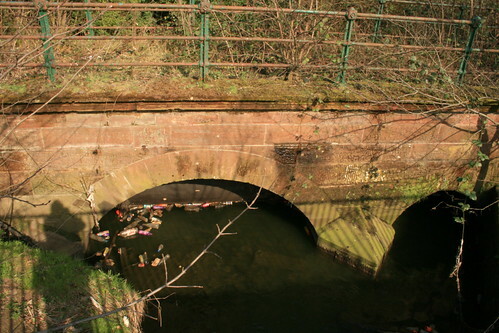 The burn running through Toryglen (mostly in culvert) is the Mallsmire Burn - it joins with the West Burn a few hundred metres to the south-west of Shawfield Stadium. From that point on, the burn's name changes to the Polmadie Burn. Below is an old map of the area I'm interested in. As you can see, a boundary line is shown along a general south-east to north-west route (with a southerly loop just before the line meets the Mallsmire Burn) to the north of Hundredacre Hill. Below is the same map as above but with some added annotation by myself. The solid blue lines are burns that definitely exist/existed (i.e. the Mallsmire to the west side of the plan and an unnamed burn in the south-east corner). I've previously been able to establish that the unnamed burn ran up to the property called Westhouse, which was located at the existing junction of Curtis Avenue / Westhouse Avenue (I wonder how the council came up with the name for the latter?) - I haven't been able to determine the direction the burn flowed from this point though. There is an existing culverted watercourse a few hundred metres along Cathcart Road (which is the continuation of Curtis Avenue) so it's possible/likely that this is the downstream end of the unnamed burn. I'm hoping (for work-related reasons) that it ran in the opposite direction though and followed the boundary line to the Mallsmire. I hope this makes the focus of my 'investigation' more clear.